An Iranian commercial aircraft carrying 66 people crashed on Sunday in southern Iran, a semi-official news agency reported. Spokesman for the Aseman Airlines, which operated the plane, told state TV that the crash killed all 66 people on board. The ATR-72, a twin-engine turboprop used for short-distance regional flying, went down near the remote mountain town of Semirom, some 620 kilometers (390 miles) south of the capital, Tehran, the semi-official Fars news agency said. Fars said the plane was flying from Tehran to the southern Iranian city of Yasuj, some 780 kilometers (485 miles) south of the Iranian capital. 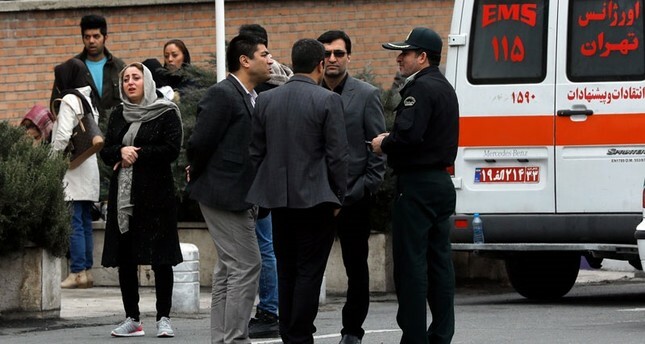 The Iranian Red Crescent said it has deployed to the area, which was quite foggy at the time of the crash. Authorities said they would be investigating.